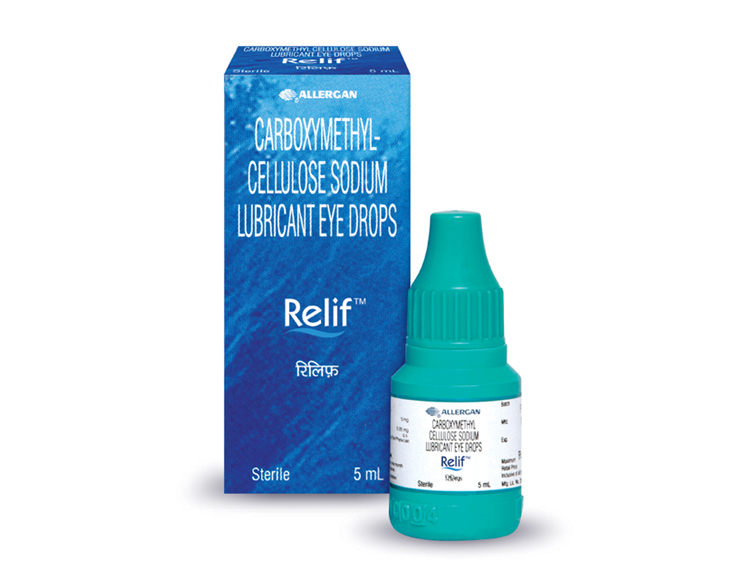 RELIF Lubricant Eye Drops provides soothing relief for dry eye. Instill 1 or 2 drops in the affected eye(s) as needed. If irritation persists or increases, discontinue the use and consult your doctor. For temporary relief from burning irritation and discomfort due to dryness of the eye or due to exposure to wind or sun. May also be used as a protectant against further irritation. Relif Lubricant Eye Drops are available in 5 mL plastic dropper bottles. [DataConnection.HandleError]: Query: SELECT Code, DisplayName FROM actavis_productsRegistrationProvincesAllerganIndia ORDER BY DisplayName ASC Caused exception: Invalid object name 'actavis_productsRegistrationProvincesAllerganIndia'.